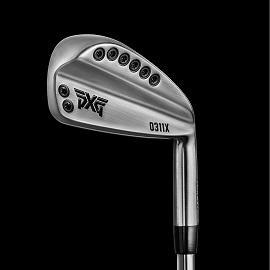 Scottsdale, AZ (March 16, 2018) – PXG, the luxury performance golf equipment company that disrupted industry norms with its bold approach to product development and distribution, has announced it will release a new generation of iron technology. Three years in the making, PXG 0311 GEN2 Irons improve on PXG’s already outstanding clubs in every measurable way. PXG 0311 GEN2 Irons will be available April 19, 2018. 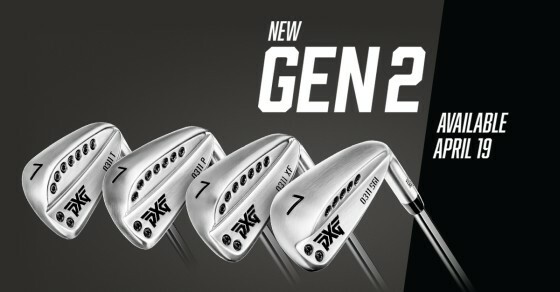 To learn more or to pre-schedule a fitting, visit www.PXG.com. PXG’s professional staff includes PGA TOUR champions Zach Johnson, Pat Perez, Billy Horschel, Ryan Moore, James Hahn, Charles Howell III, and Charl Schwartzel, as well as Web.com tour rookie and college golf sensation Wyndham Clark. The roster also includes two-time major champions Lydia Ko and Anna Nordqvist, U.S. Women’s Open champion Brittany Lang, and LPGA Tour players Katherine Kirk, Austin Ernst, Christina Kim, Alison Lee, Ryann O’Toole, and Gerina Piller. Scottsdale, AZ (January 3, 2017) – Today, PXG (Parsons Xtreme Golf) revealed a tour strategy designed to help accelerate and capitalize on global excitement surrounding the company’s brand and revolutionary equipment. In a bold move, PXG has focused solely on signing LPGA Tour talent for the 2017 season. At the top of the list is world number one, Lydia Ko. PXG’s professionals represent some of the very best talent on the PGA TOUR and LPGA Tour. The new players will join current #PXGTroops James Hahn, Billy Horschel, Charles Howell III, Zach Johnson, Chris Kirk, Ryan Moore, Charl Schwartzel, Cristie Kerr, Alison Lee, Sadena Parks, Gerina Piller and Beatriz Recari. “From founder to fitter, every representative of PXG is passionate about golf and dedicated to making sure golfers are able to experience incredible results on the course. I have never been so impressed by a company,” Ryann O’Toole added. Parsons Xtreme Golf (PXG) is based in Scottsdale, Arizona. The company was founded by Go Daddy founder, businessman and philanthropist Bob Parsons in 2014. Leveraging breakthrough technology and sophisticated manufacturing processes that integrate high-performance alloys, PXG produces the finest golf clubs in the world. The company has nearly 100 global patents issued for its proprietary designs. PXG clubs are currently being played on all three major U.S. Tours. 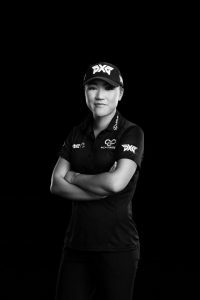 PXG’s professional staff includes PGA TOUR winners James Hahn, Billy Horschel, Charles Howell III, Zach Johnson, Chris Kirk, Ryan Moore and Charl Schwartzel and LPGA players Cristie Kerr, Christina Kim, Lydia Ko, Brittany Lang, Alison Lee, Ryann O’Toole, Sadena Parks, Gerina Piller and Beatriz Recari.